Mixed Precipitation Expected. Total Snow Accumulations of 1 to 3 Inches and Ice Accumulations of a Light Glaze Expected. In portions of Northeast New Jersey And Southeast New York. Plan on slippery road conditions. The hazardous conditions could impact the evening commute. 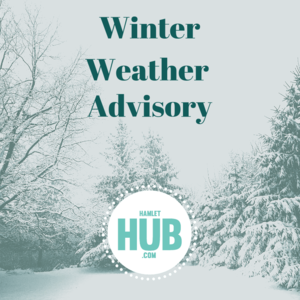 A winter weather advisory means that periods of snow, sleet or freezing rain will cause travel difficulties. Expect slippery roads and limited visibilities, and use caution while driving. Check local department of transportation information services for the latest road conditions.